The verdict: For $2.69 you get a nice sized bag of fries that can easily feed two adults with some left over. 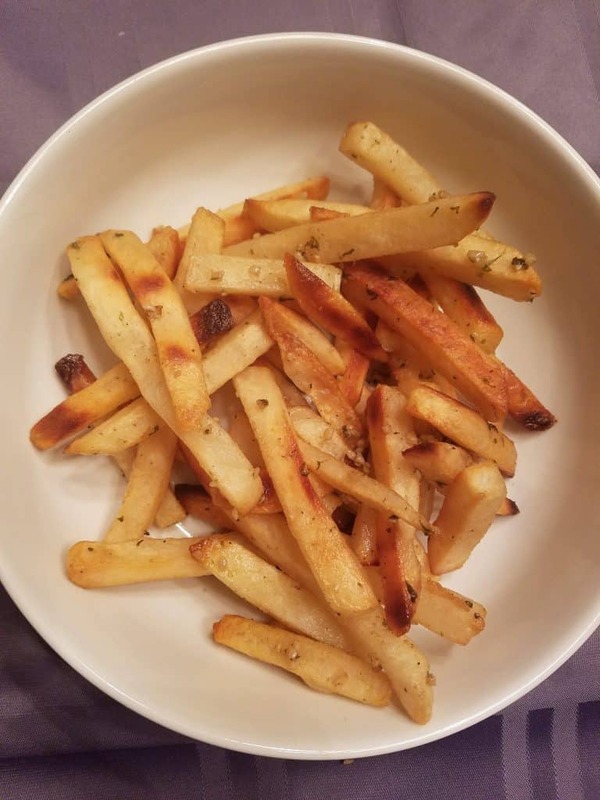 The fries are crisp from the oven and are tasty on their own without the garlic sauce. These are not a thin cut fries. These are medium to thick cut to better hold on to the sauce. 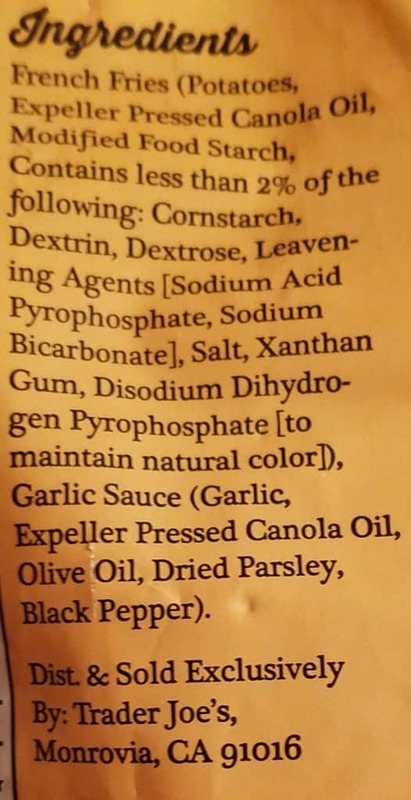 You also get a packet of garlic sauce that contains enough garlic to ward off a hoard of vampires or ensure your loved ones will not give you a kiss goodnight. This is not recommended for a first date, however if you do make this for someone and they give you a second date, they might be a keeper. 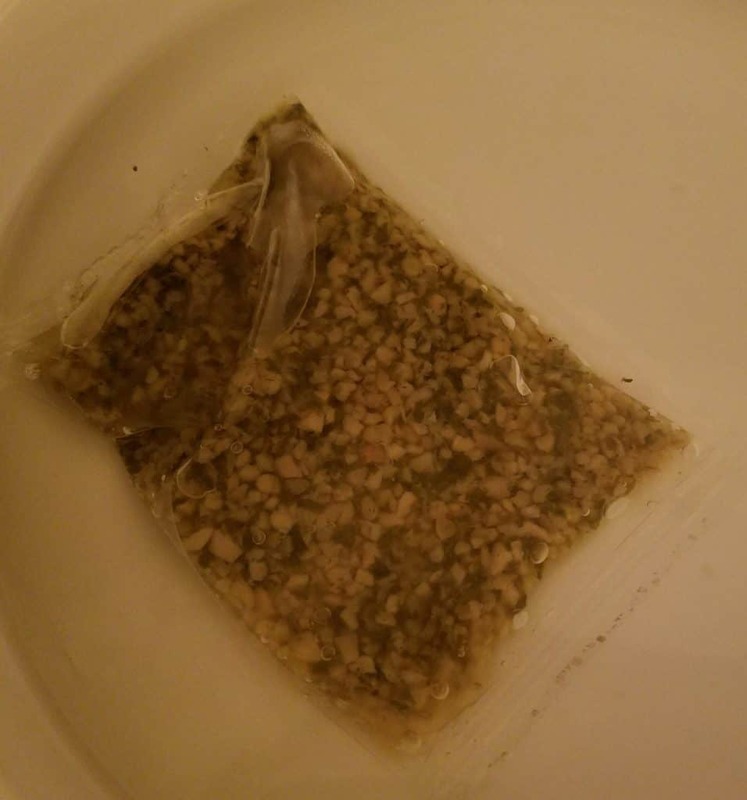 You’ll need to exercise some common sense with how much garlic you can handle because there is quite a bit in this little packet. I was fortunate to have much of the excess garlic stick to the bottom of my mixing bowl. These are good as an occasional treat or something to have for game day. The calorie count wasn’t too bad for french fries. I’d buy this again, but I’d be more careful about the garlic packet. Would I buy this again? Yes, this was tasty, but won’t make the weekly shopping list. 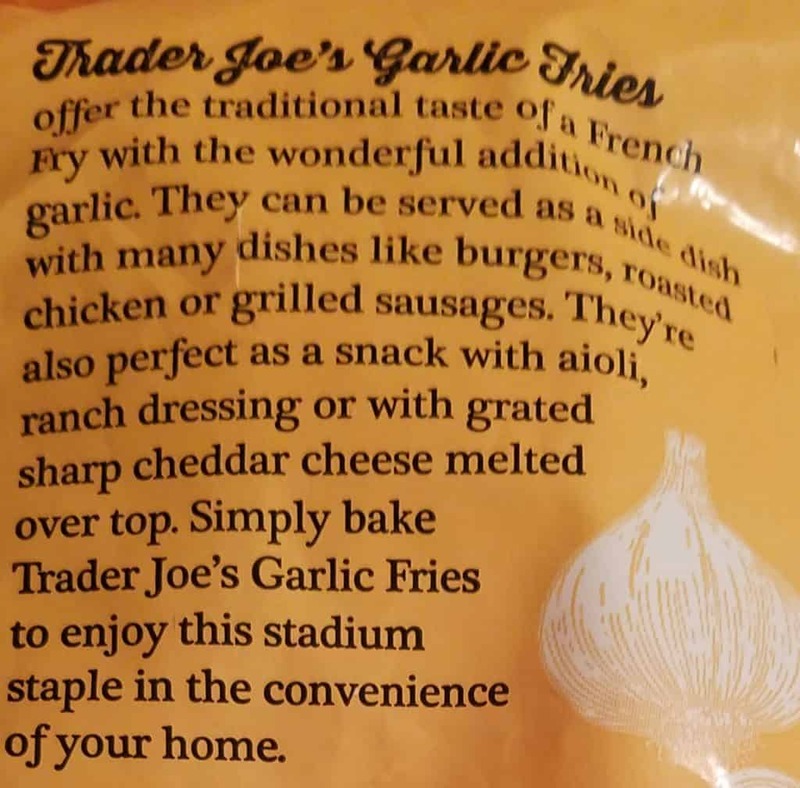 Trader Joe’s Garlic Fries was a nice treat to watch the game or have a greasy dinner at home without the bar bill. Oooo these sound so tasty! That’s a great suggestion Ross! Thanks for sharing. 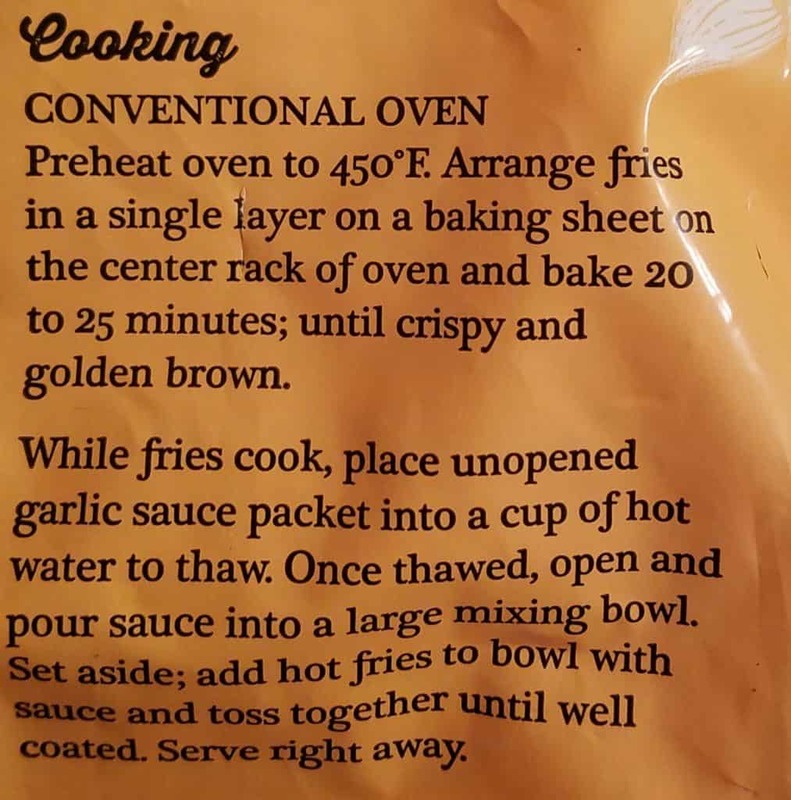 These fries tempted me to search the web to find different interfaces to say how horrible this purchase was. These garlic fries are honeslty a fireable offense. 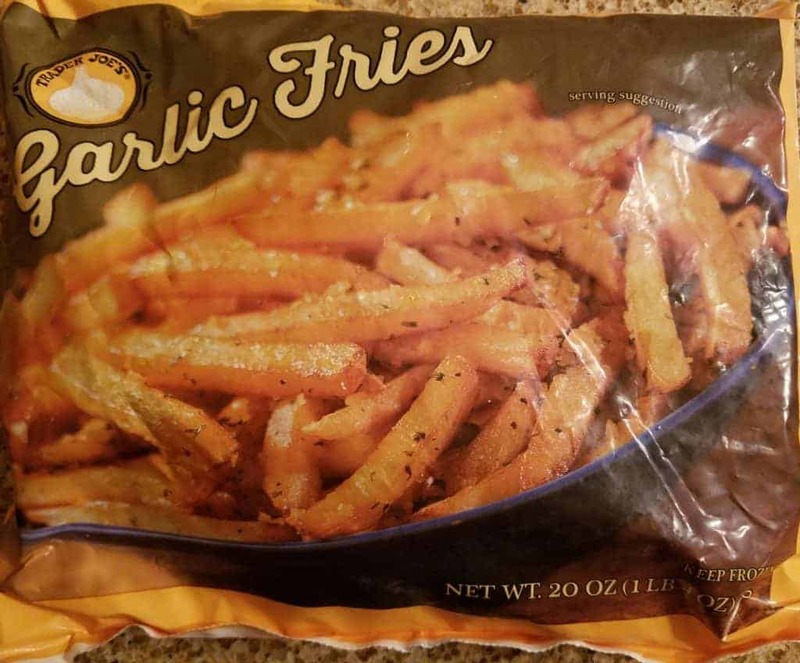 Not only are they thick and soggy, the bag of RAW garlic…like I actually mean RAW, no seasoning, is horrifying. Like actual horrifying content. The CDC should be assigned to take these away because they are seriously like toxic, it’s an issue. Hey Rocketman! I saw how much garlic was in these and used extreme caution as I knew there would be no kiss good night from my hubby. On a happier note, I haven’t seen these in stores in some time. I’ve heard through the grapevine that this item has in fact been discontinued. Hopefully they will replace it with something even more awesome. Thanks for stopping by and sharing!